I am currently reading The Alamo Bride, book 7 in the Daughters of the Mayflower series. I have really been enjoying this series. It’s filled with excellent and unique characters, the settings are interesting and vast, and the adventures have all been quite engrossing and engaging. If you have not read a book in this series, I highly recommend all of the books. When it came time to choosing a book for today’s post, I realized choosing my favorite from this series would be an appropriate plug to this really good collection of stories. 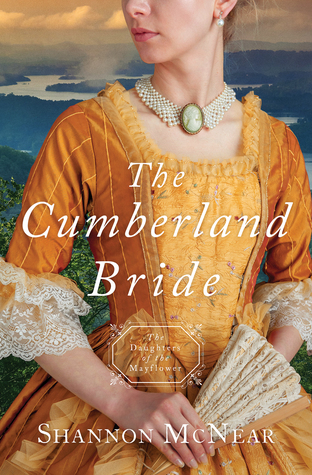 The Cumberland Bride, so far, is my absolute favorite. It is SOOOOOOOOOO good. 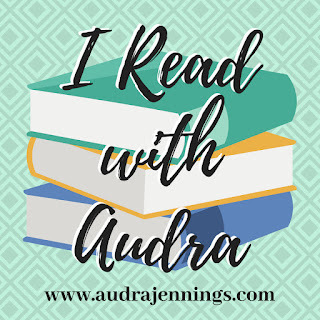 To find out why I love it so much, click HERE to read my full review, and then go purchase a copy of the book ASAP. You will not be disappointed that you did. I agree I love this series too!! The more of them that come out make it harder and harder to pick a favorite though! That is such a pretty cover! A memorable book for me is The River To Redemption by Ann Gabhart. The characters were so selfless in times of horror. It really stuck with me.